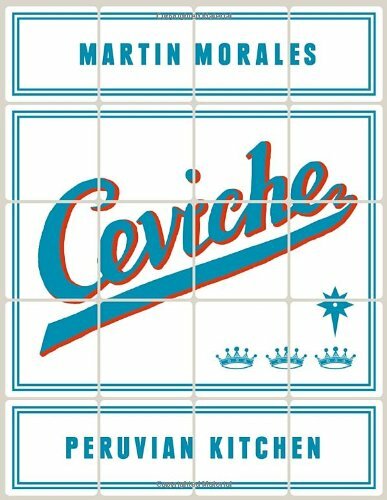 Ceviche (Spanish pronunciation: [seˈβitʃe]; also spelled cebiche, or seviche) is a seafood dish popular in the coastal regions of the Americas, especially Central and South America. The dish is typically made from fresh raw fish cured in citrus juices, such as lemon or lime, and spiced with ají or chili peppers. Additional seasonings, such as chopped onions, salt, and coriander, may also be added. Ceviche is usually accompanied by side dishes that complement its flavors, such as sweet potato, lettuce, corn, avocado or plantain. As the dish is not cooked with heat, it must be prepared fresh to minimize the risk of food poisoning. This is the official explanation, here is mine and I have to let you know it's the best stuff and delicious once you buy the fresh fish of your choice and do not compromise on quality. We learned about CEVICHE in Bermuda were everyone who owns a boat is fishing and if you do not own a boat you fish from the shore and have the freshest fish for dinner whenever you like. Any type of fish will do as long as it is big enough to offer firm filets and can be cut into small cubes. Of course the Peruvians claim to be the ones who created this dish, but like all pizza types it can be found in variations even by the Portuguese, who we learnt it from. The Lemon juice and the salt cure the fish over time and nothing tastes fresher and more like summer than cilantro, ripe Avocados, pomegranates all in a cold dish with this tasty fresh fish. The cod is cut in small cubes and mixed with the juice of 6 lemons and the sea salt. so that the lemon and the salt can evenly cure it. after shopping so you can see what is happening. Then drain the fish over the sink in a sieve, you do not need the juices later. I decorated it with a sprig of a Thai Basil, but that is hard to get and you can use cilantro again instead. Salmon is great as well or mix different kinds of fresh fish to make the end result more colorful, because they all react differently to the lemon cure. Berndt uses Salmon, Tuna and Butterfish. Served in a glas with a small fork looks great and is easy to serve with drinks before dinner. Mine was an appetizer for lunch. Why not put a spoonful on a chicory leaf and serve it like that? Sounds perfect, doesn't it? Let me know how you liked it best.